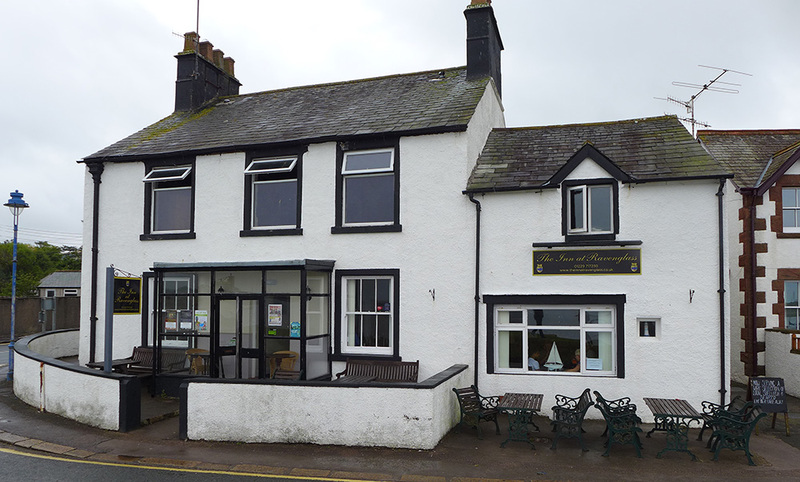 The Inn at Ravenglass , Seafood heaven. 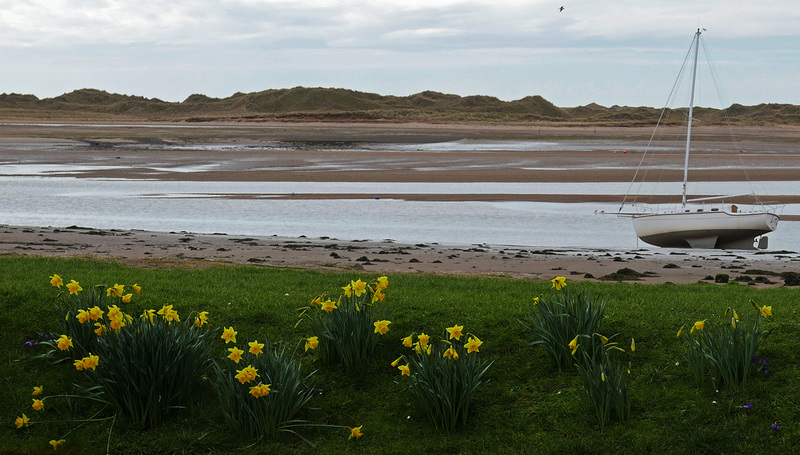 In the tiny village of Ravenglass on the West coast of Cumbria , Spring is finally in the air. The Winter months haven`t been too bad this year but there`s been many days when the fishing boats can`t even get out out to sea. 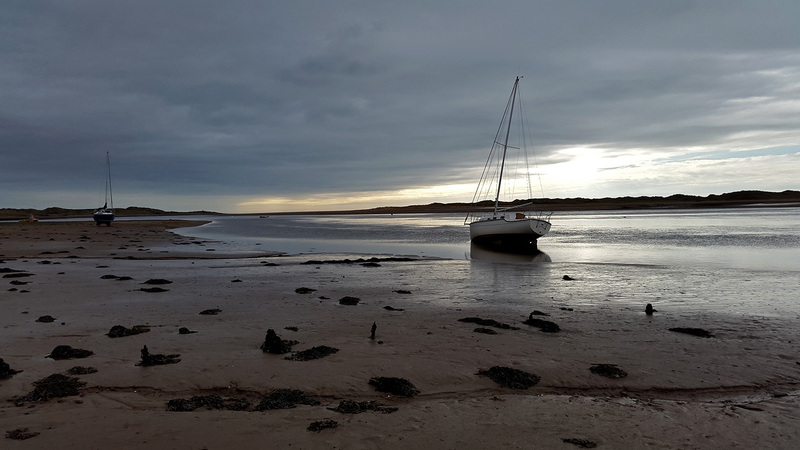 Nice to know that the Chef at ” The Inn at Ravenglass” ,Craig Niven has still been knocking out some stunning seafood throughout the duration of the poor months. Craig still manages to source enough fresh produce to fill 2 or 3 blackboards with daily seafood specials , very Impressive. If I was setting up my own restaurant then I would definitely want the chef here to run my kitchen , simple as that. 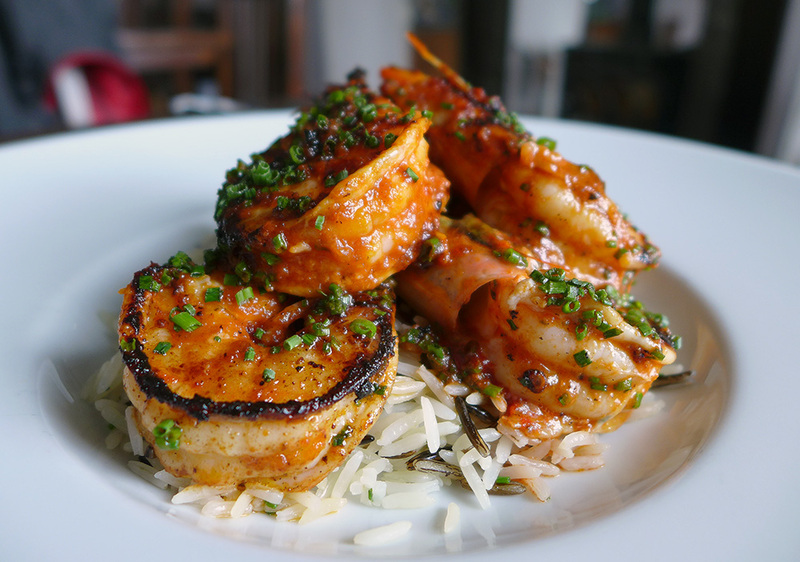 I don’t know anything about Chefs background but after over half a dozen visits here he just continues to deliver some amazing seafood .Basically he`s just a gifted chef that can cook prime produce very well. 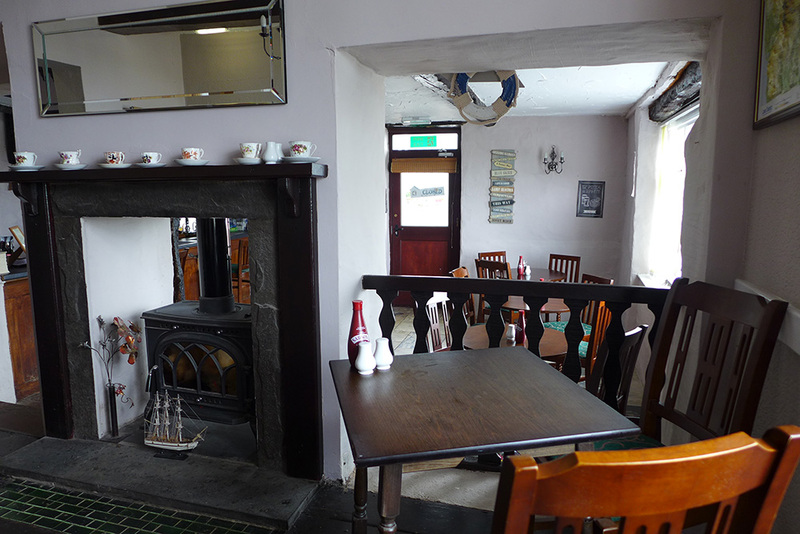 The pub is owned by the Pennington family ( Muncaster Castle ) along with a few other local businesses. It`s very much your `village local` and attracts quite a crowd most days. I`ve decided not to say much about the décor here as i`m quite used to it now , I`ll take the 5th on this occasion. 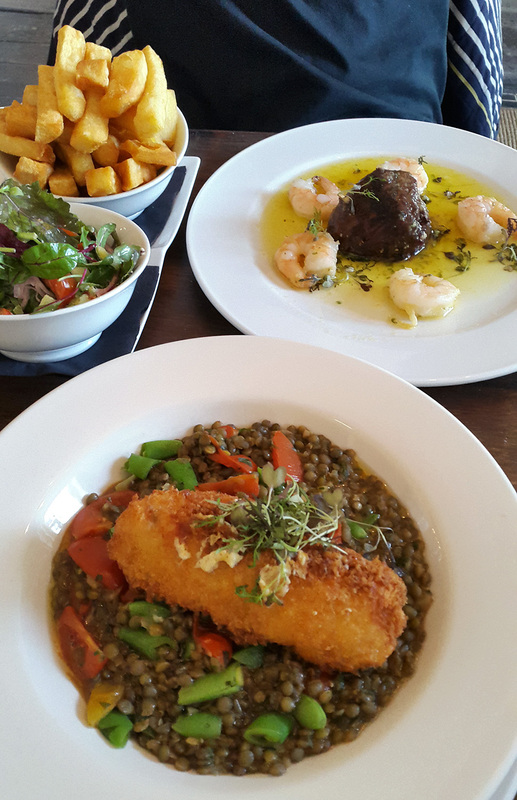 I`m not coming here for anything other than top shelf fresh seafood cooked perfectly and served with an ice cold glass of Muncaster Cider or locally brewed ale….enough said. Just for your information folks , you`re not required to wear a jacket and tie so relax and dress down here, there`s no airs n graces.Take it for what it , be prepared to sit on the next table to a local in flat cap with his pet terrier and just get stuck into the amazing Cumbrian seafood which you can see below. I had a little look just over the road on one of my visits and within a minute or so I had discovered this lot growing within a stones throw of the kitchen. I don’t think chef is brave enough to use this just yet but here`s hoping. 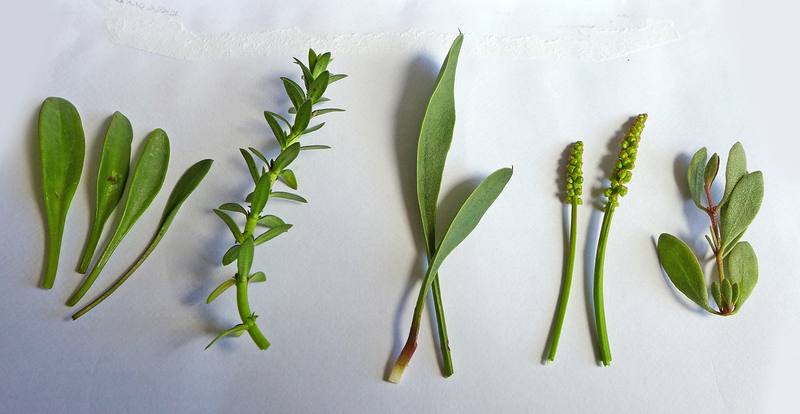 From left to right – Sea Aster , Sandwort , ??? , Arrowgrass and Purselane. 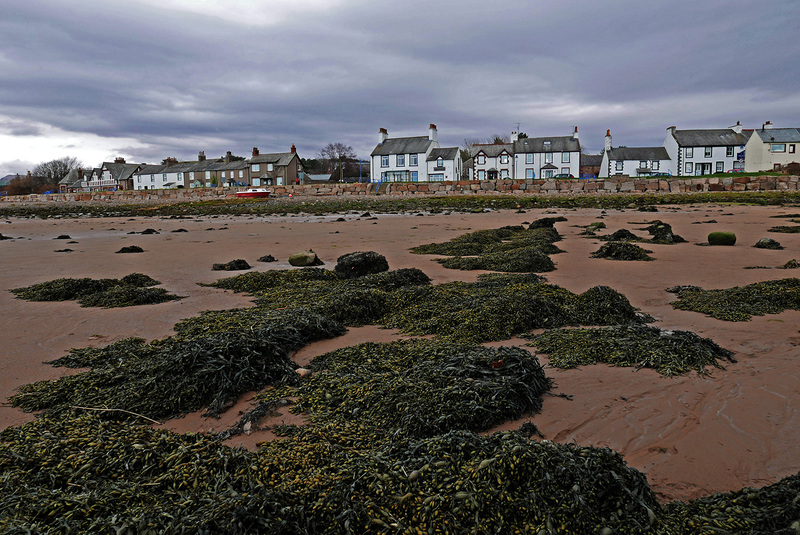 A view of The Inn from the beach. Menu boards at the Inn are hand written in the kitchen once the daily catch is brought through the door. On my last visit , Chef was actually waiting for the catch of the day to arrive minutes before service kicked off. 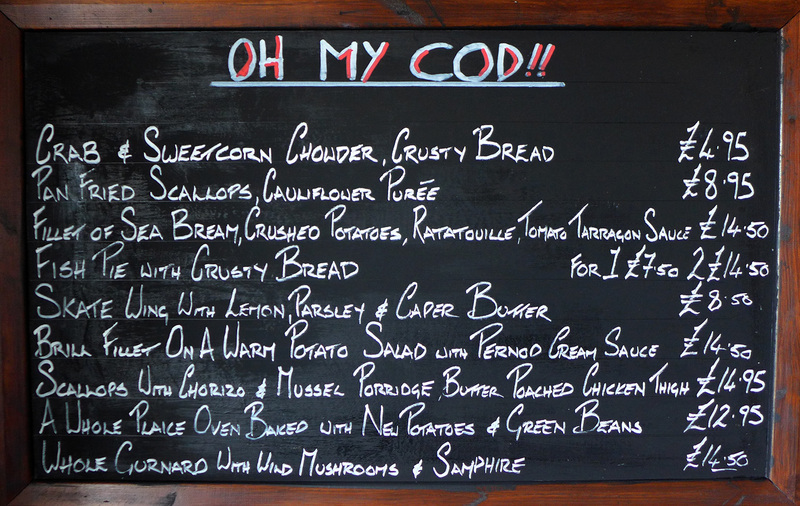 “ In Cod we trust” , “ Skate , Rattle and Sole” and “Not bad , Cod do better” the three specials boards are crammed to capacity with fresh seafood . 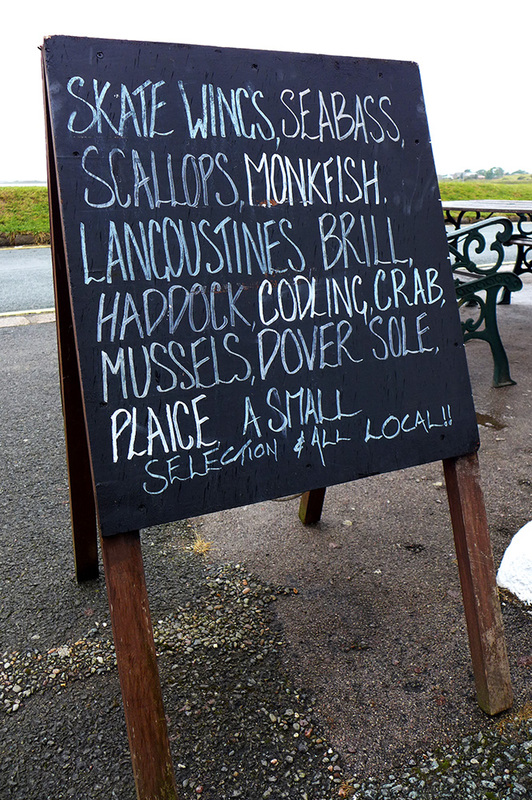 Many restaurants would be blessed to have the one of these boards.Thanks to Steve Hallet from Ravenglass fish for braving the cold Cumbrian seas. You can follow this crazy guy on his Twitter account HERE. 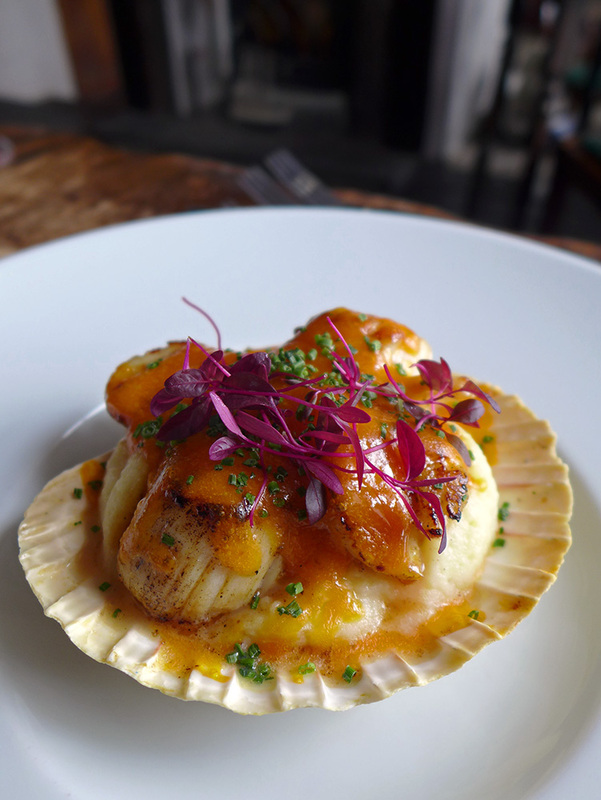 Scallops baked in the shell with buttery mash and glazed Cheese. Coquille st jacques. 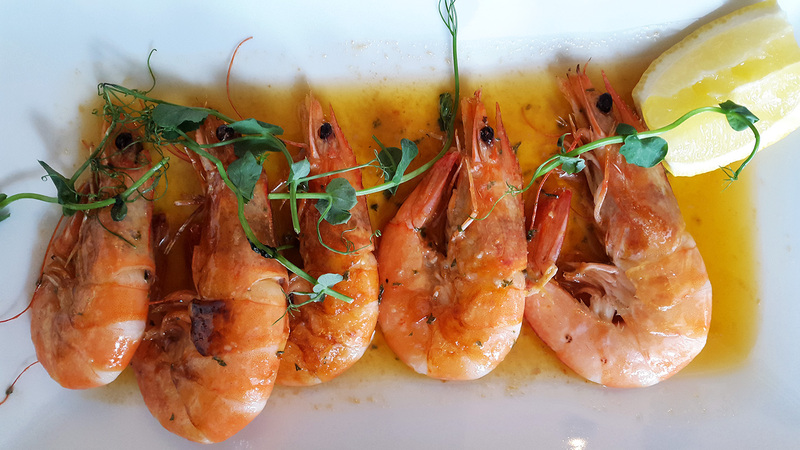 Prawns in Garlic Butter , plain , simple and with a big wedge of crusty Bread. 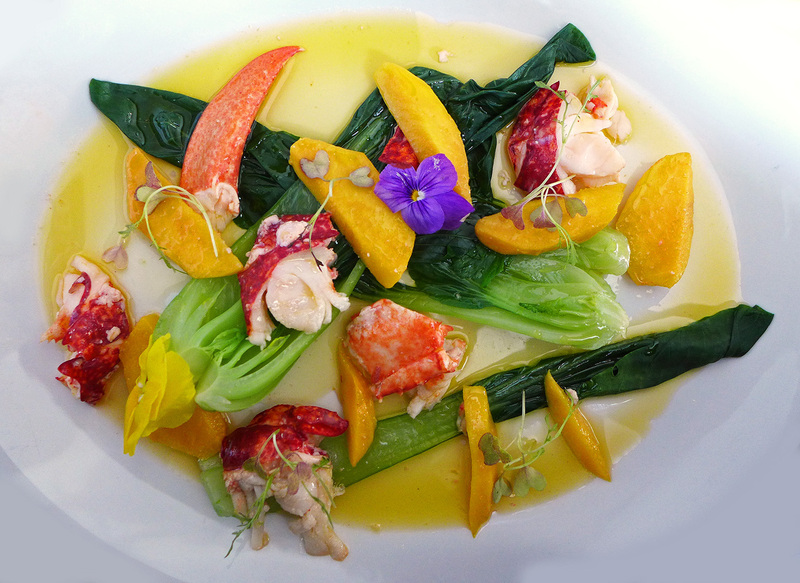 Local Lobster with Mango and Pak choi. 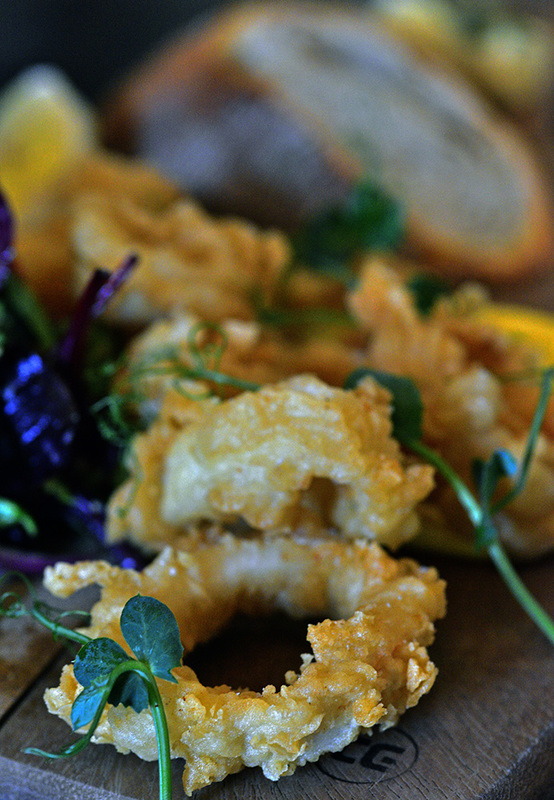 Battered Squid with Saffron Mayo. 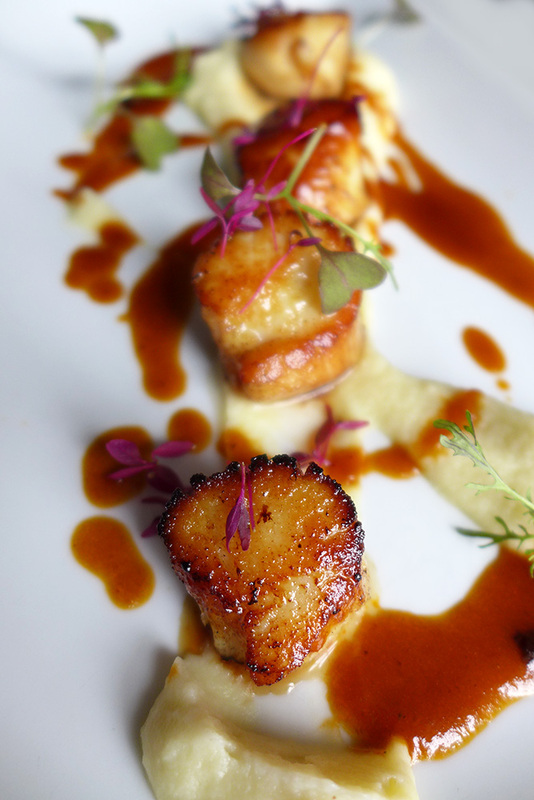 Seared Scallops on Cauliflower puree. 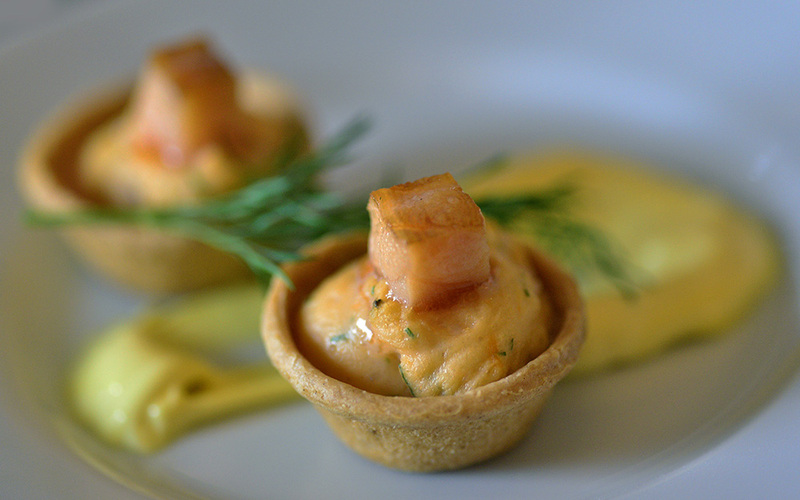 Little freebies – Scallop mousse and smoked salmon tartlettes. This one is easily my favourite main course at the Inn. Griddled Irish sea Scallops on a light Apple chutney. Pan fried sea Trout on Buttered Cabbage and Bacon with creamy mash and a Beurre blanc sauce. 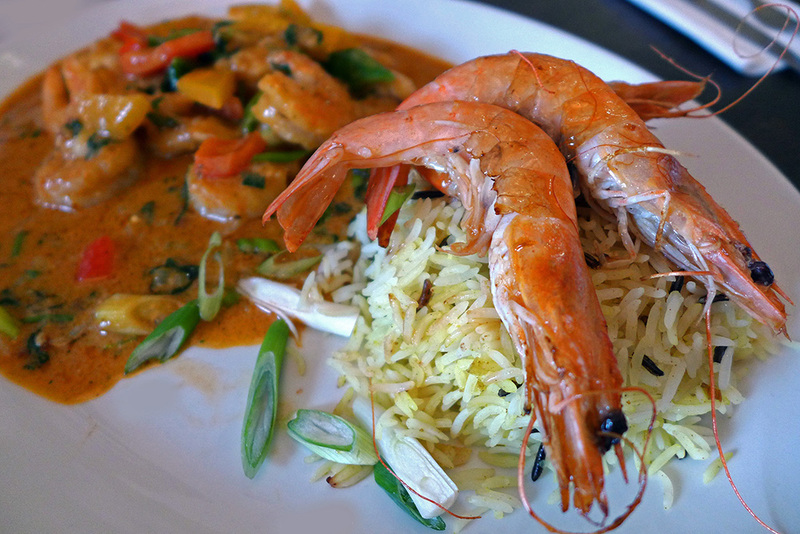 King Prawns , Pilau rice. 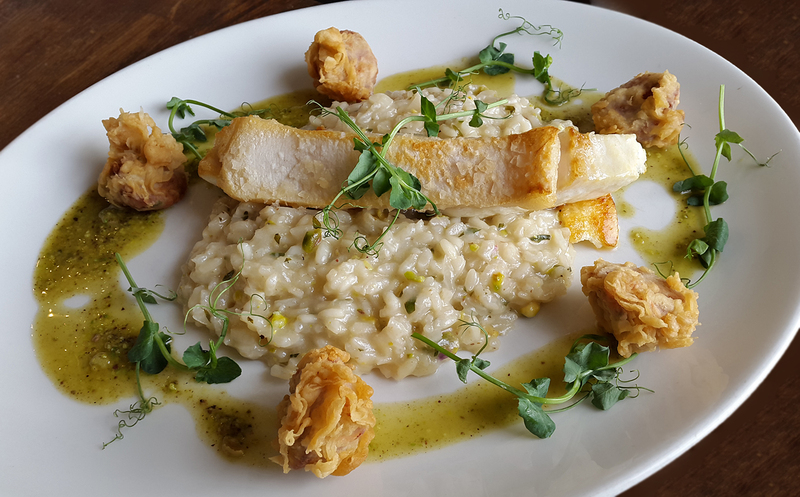 Fillet of Halibut on a Pistachio Risotto with Ham hock fritters. 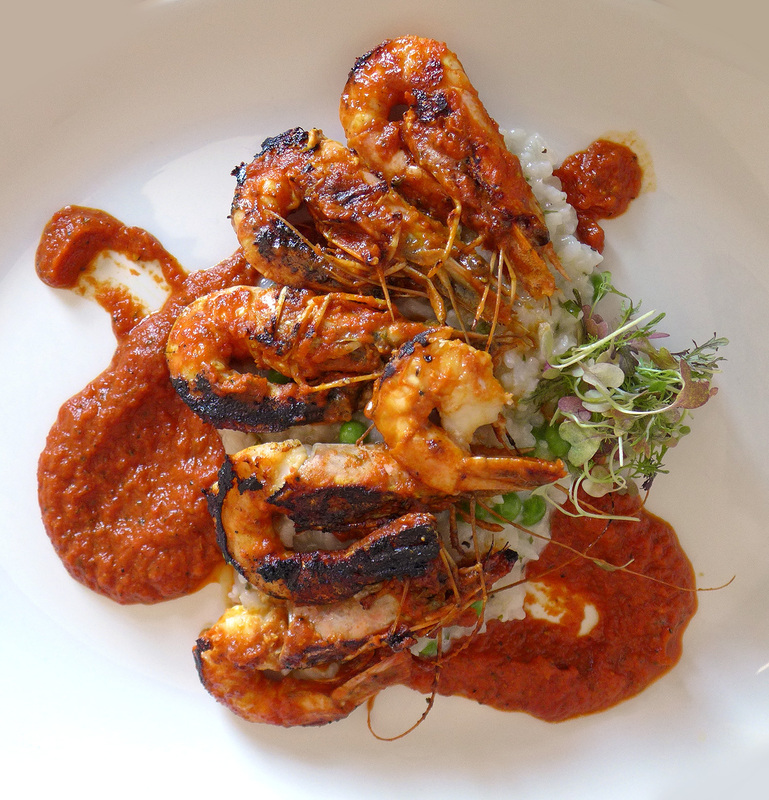 Tandoori Tiger prawns , Lemon Risotto. 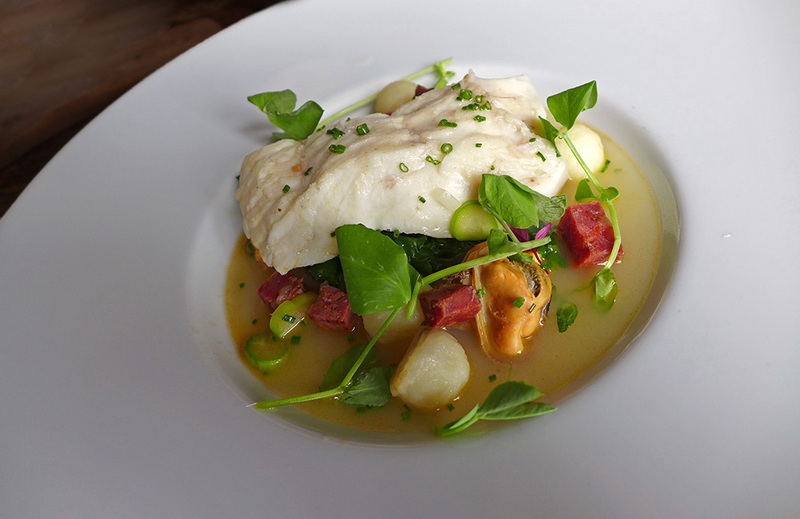 Fillet of North sea Turbot on a healthy Mussel and Chorizo broth. 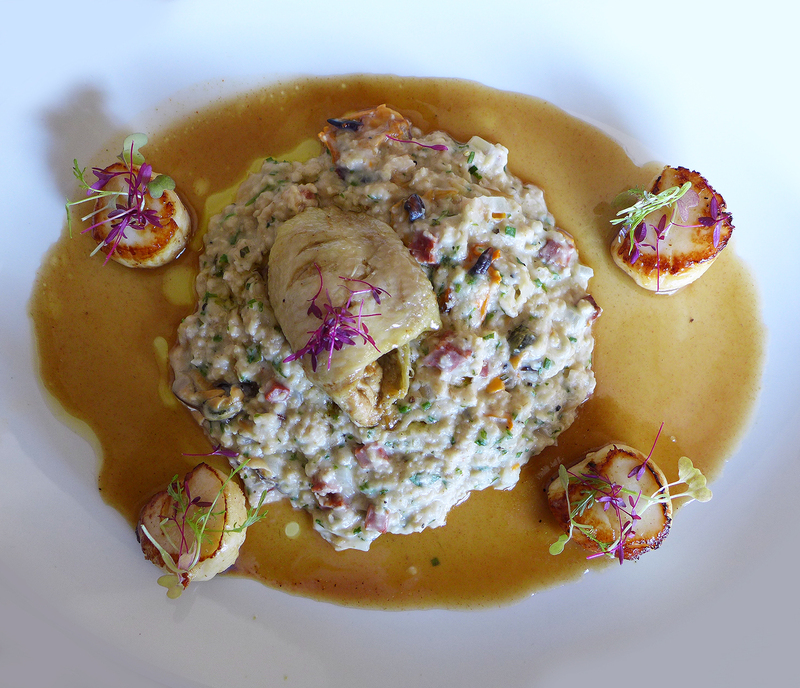 Irish sea Scallops , Chorizo and Mussel Porridge with Butter poached Chicken thigh. 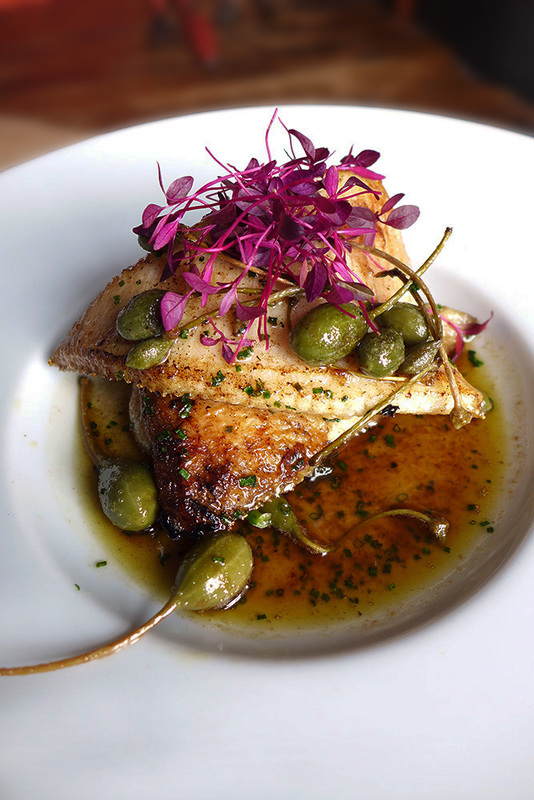 Pan fried Skate wings with Lemon , Caper and Parsley black butter. 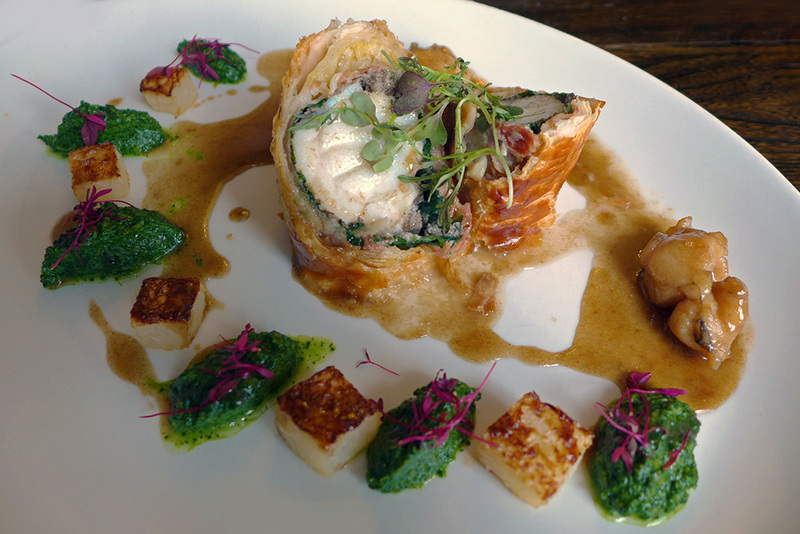 Monkfish Wellington , Sugar cured cheeks , Kohlrabi and spinach puree. Prawn and Monkfish Thai red curry. 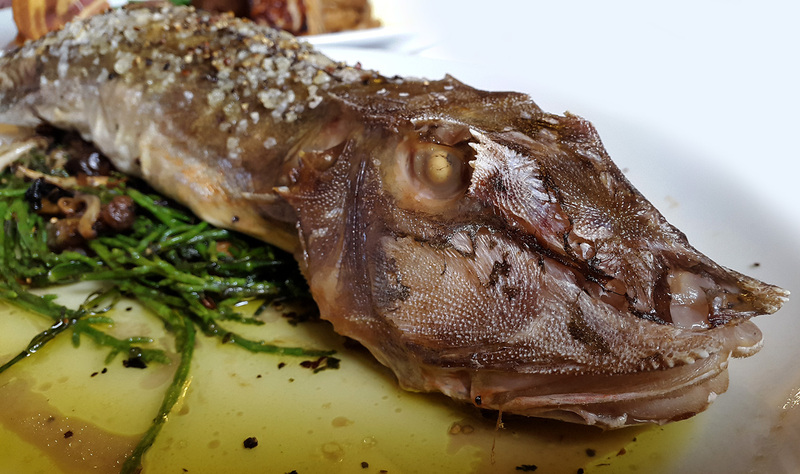 This poor guy aint a pretty sight but chef made the very best of a poor mans fish , the Gurnard. Roasted and basted in sea salt and butter then served on a bed of local Samphire and wild mushrooms. 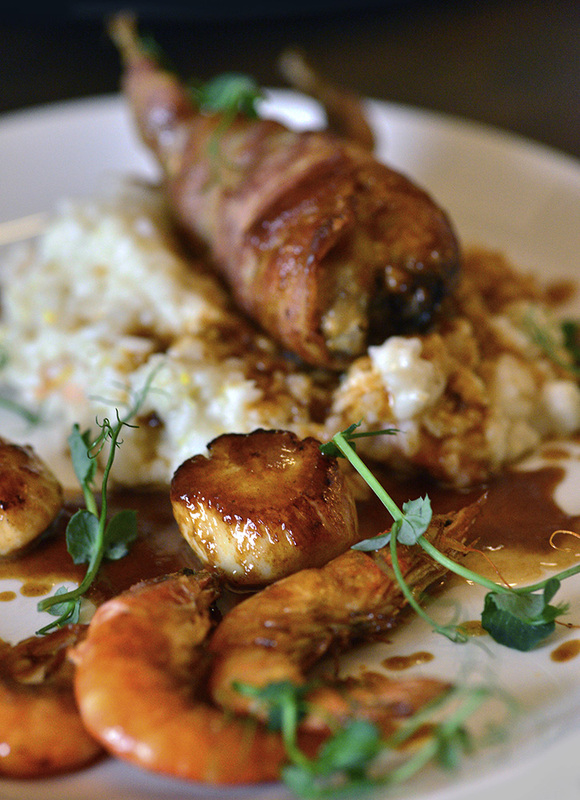 Muncaster reared Quail with a Scallop mousse filling , Lemon Risotto , Irish sea Scallops , Crevettes and Shrimp. 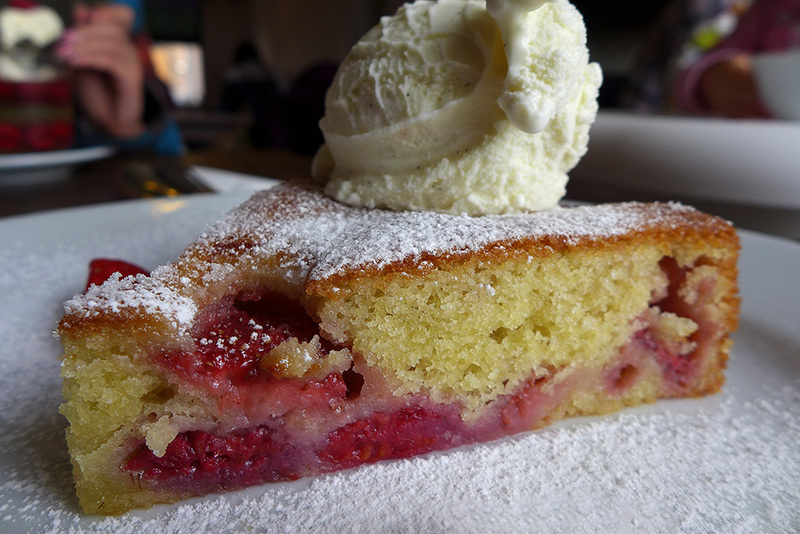 Just a little look at our Cumbrian portion control….no complaints here then. I went for the Monkfish Kiev on yellow Pea and green lentil ragout. My son Max had the Cumbrian surf n turf. Fillet steak , Garlic prawns , Chips and salad. This is a little treat for those that don’t do fish. 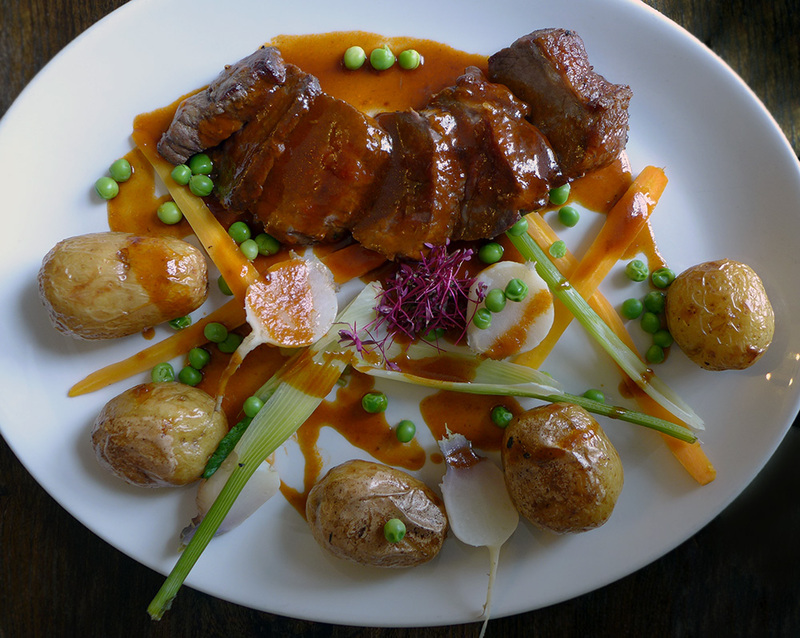 Roast of the day £9.95. 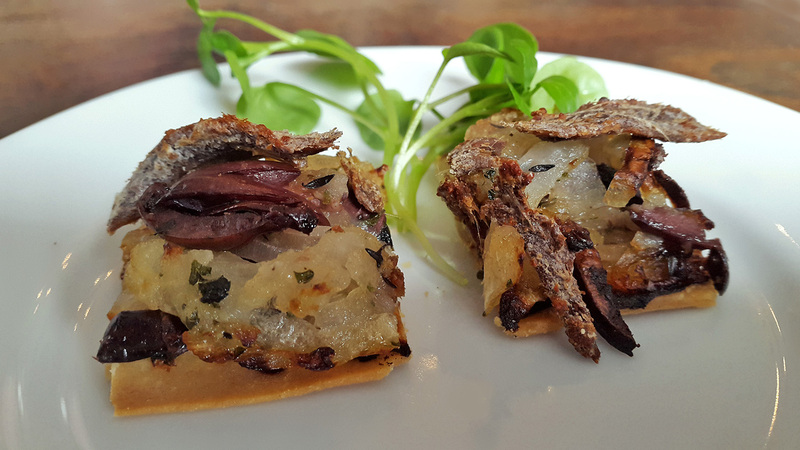 Perfect portion size and at a superb price. 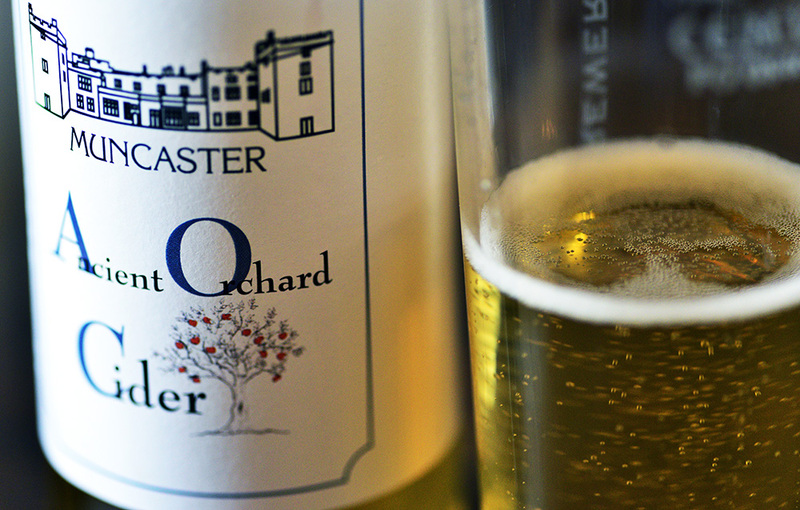 An amazing local brew, Muncaster Cider using Apples from the Castles ancient orchard. The Apples are pressed and then made into Cider by the people down at Cowmire Hall. 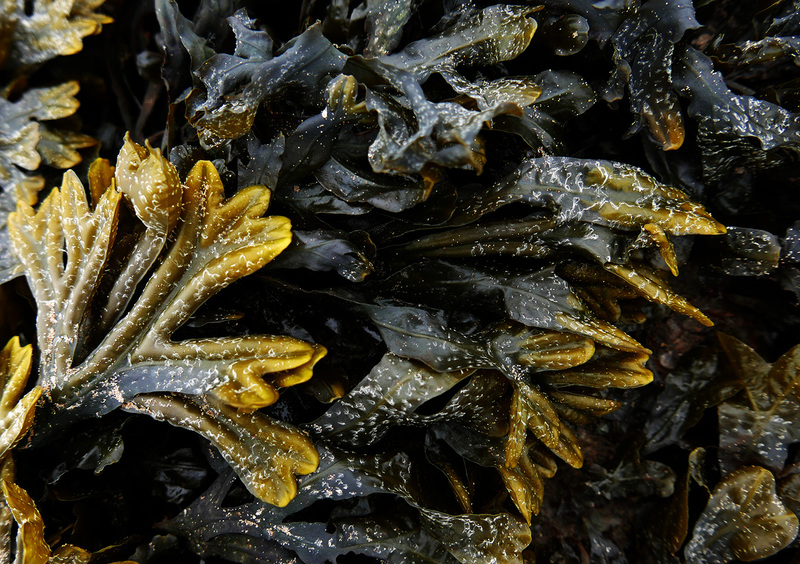 Well…what do we Cumbrians make of this delight ? Or is this key forensic evidence that we have a crazy Scotsman in the kitchen ? 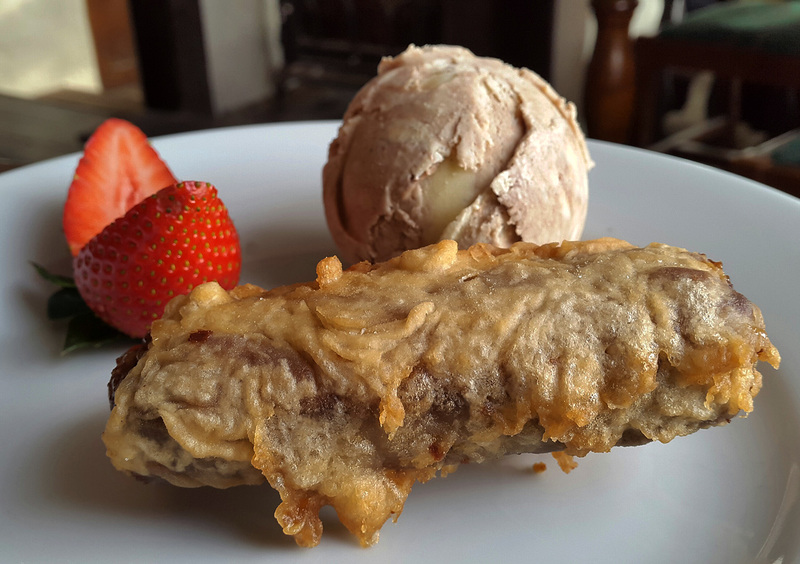 Deep fried Mars bar in what could be Irn Bru batter served with every Glaswegians tipple of choice ” Buckfast ” ice cream. 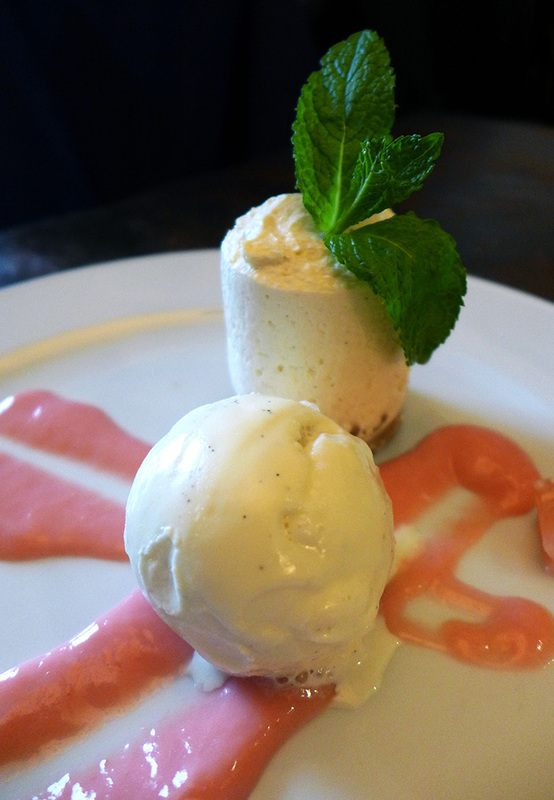 It was my first ever taste of this classic “Glasgow Chip shop” dessert and it made me laugh , created happy discussion and although it`s never going to win any awards for dessert of the year I thoroughly enjoyed that lovely sticky goo inside….it`s a happy pud. Sticky Toffee Apple Brioche with Vanilla ice cream. 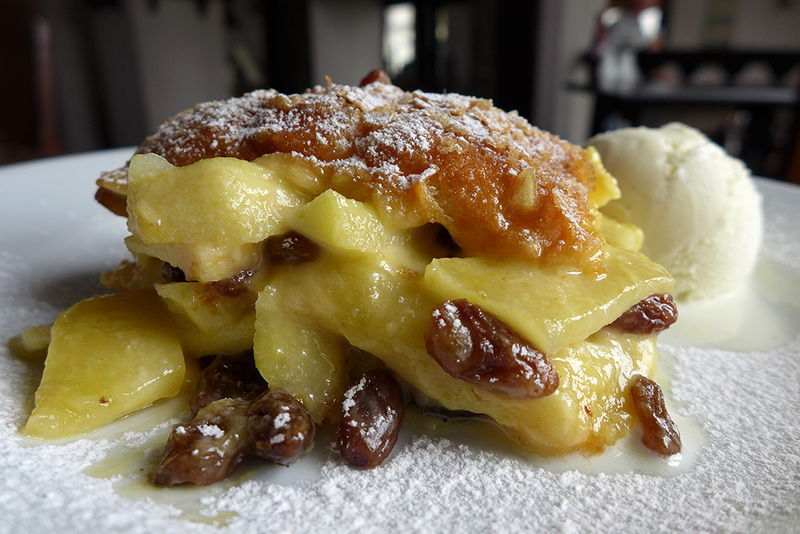 I can honestly say that ive never had a better Bread and butter pud anywhere in the world…..I would return there for this one dish , it really was that good. 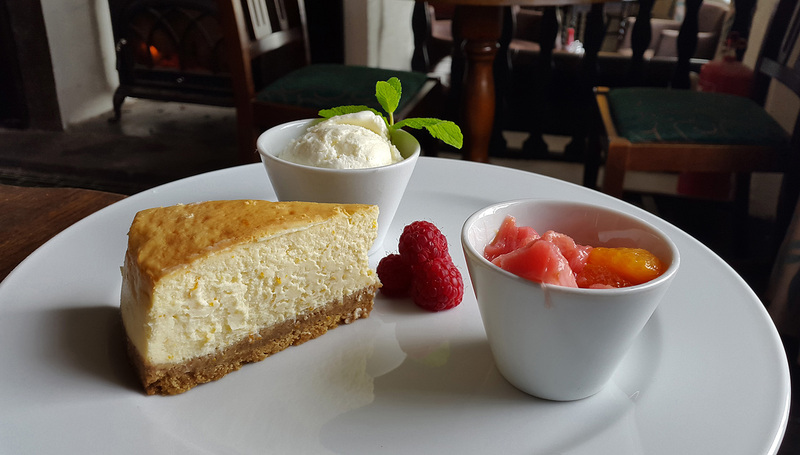 ( please keep this on the menu as a signature pud , it`s a winner ) The puds are also all home made , something else which needs to stay. 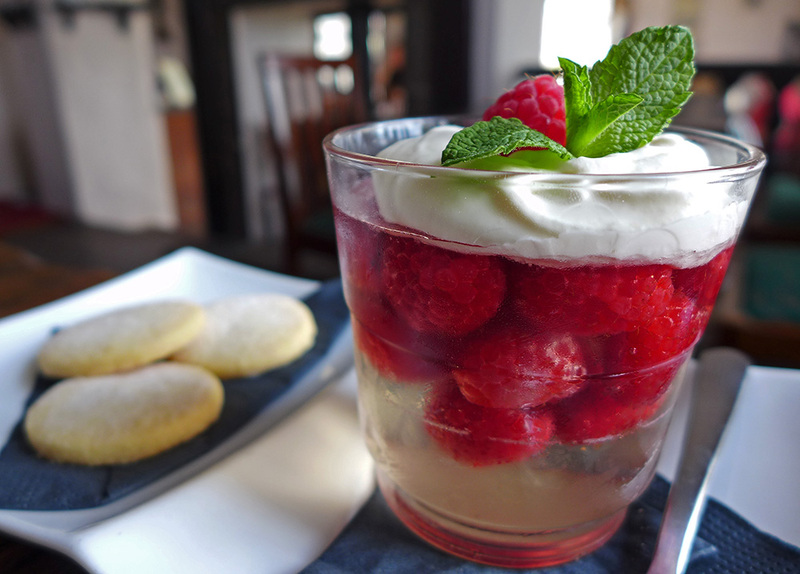 Fresh Raspberries set in Elderflower jelly with home bakes Shortbread. Strawberry cake , vanilla ice cream. The potential is there and waiting to be exploited at The Inn. The fish so fresh its almost jumping from the sea, over the road and into the restaurant. 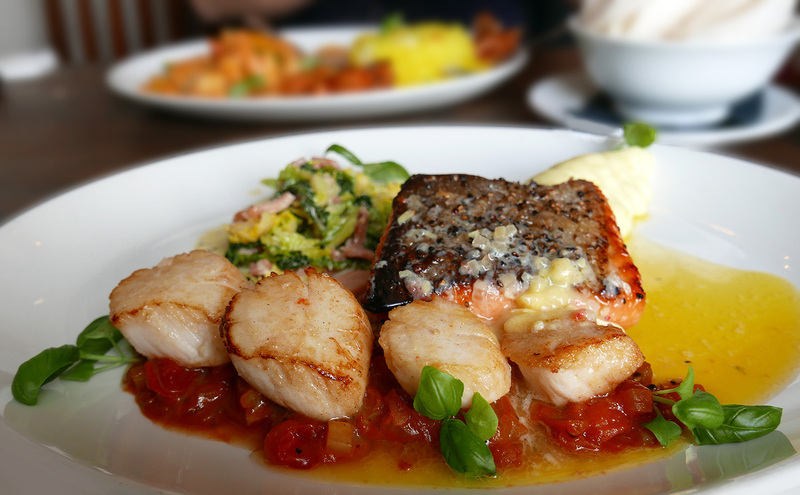 The restaurant has the ability to get put right on to the food lovers map , a destination restaurant for seafood lovers. I think that I hit a bit of a raw nerve when I asked about the décor. It seems that the majority of the customers comment on the amazing food and then the next sentence will be about the extremely strange décor , Wooden tables , Red carpets , a sports lounge area , and a typical country stone floored bar area complete with locals in flat caps sitting on “their” seats.It`s a potential Rick Stein Seafood restaurant in Padstow with a customer base of 10,000 people in a big factory ( Sellafield ) up the road waiting to try it and yet the management seem to be ignoring the feedback on tripadvisor and the general feeling of their customers….strange one. My own view is that the whole of the restaurant needs taken apart and refurbished to a standard which matches the food on the plates. 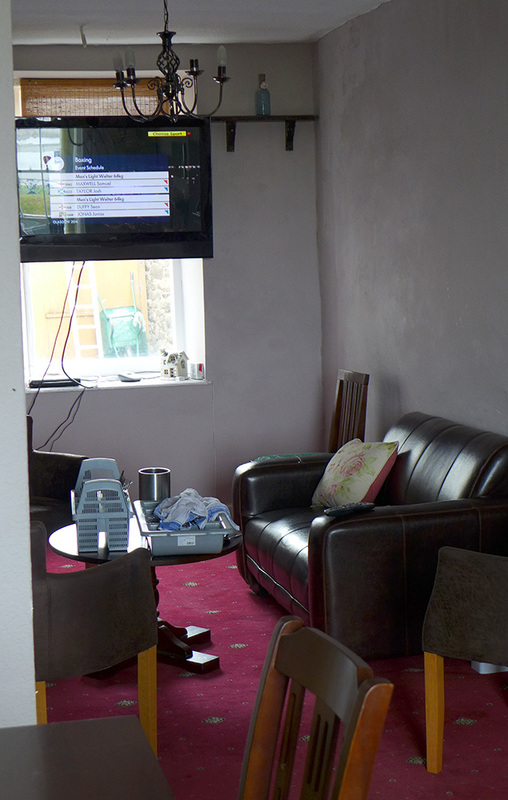 Trouble is though , I mentioned this and I was told that “It`s already been redecorated” …..Ermmmm…..okay. Previous Post Mr Coopers House and Garden, Manchester. Next Post Issaya Siamese Club Bangkok , Stunning Thai food in a beautiful restaurant. The food looks AMAZING! Not so sure on the decor though!